What is Internet of the Things? In short, connected environment or connected home. According to Wikipedia, The number of IoT devices increased 31% year-over-year to 8.4 billion in the year 2017 and it is estimated that there will be 30 billion devices by 2020. The global market value of IoT is projected to reach $7.1 trillion by 2020. I was one of the luck people to unbox and installed this connected devices to my home and experienced the convenience of having a smart gadgets. You can also check my Youtube channel about these smart things. The first one I opened is the 2nd generation Amazon Echo . 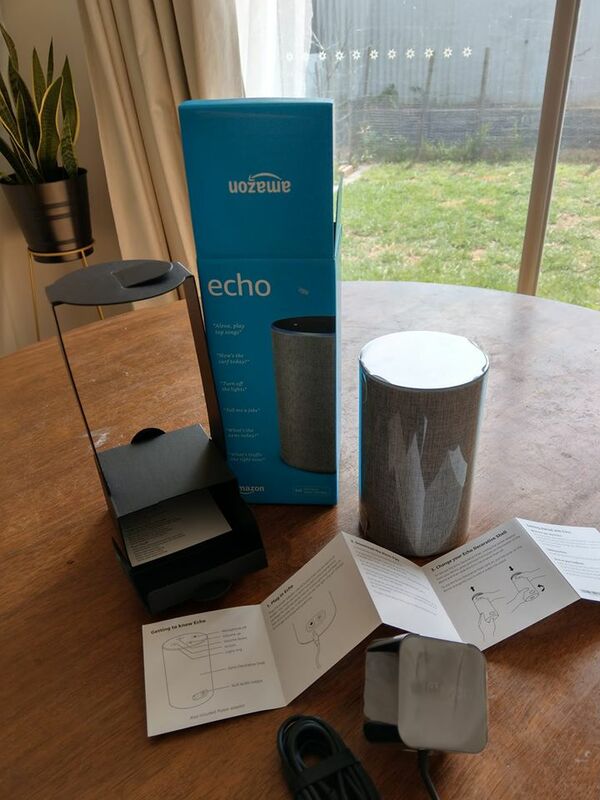 Echo is a brand of smart speakers developed by Amazon.com. The devices connect to the voice-controlled intelligent personal assistant service Alexa, which responds to the name “Alexa”. This “wake word” can be changed by the user to “Amazon”, “Echo” or “Computer”. The device is capable of voice interaction, music playback, making to-do lists, setting alarms, streaming podcasts, playing audiobooks, and providing weather, traffic and other real-time information. It can also control several smart devices acting as a home automation hub. With seven microphones, beamforming technology, and noise cancellation, Echo hears you from any direction—even while music is playing. Please check my unboxing HERE. Then, I also unbox and installed the Kwikset Kevo Smart Deadbolt lock on my front door which Alexa can communicate as well. 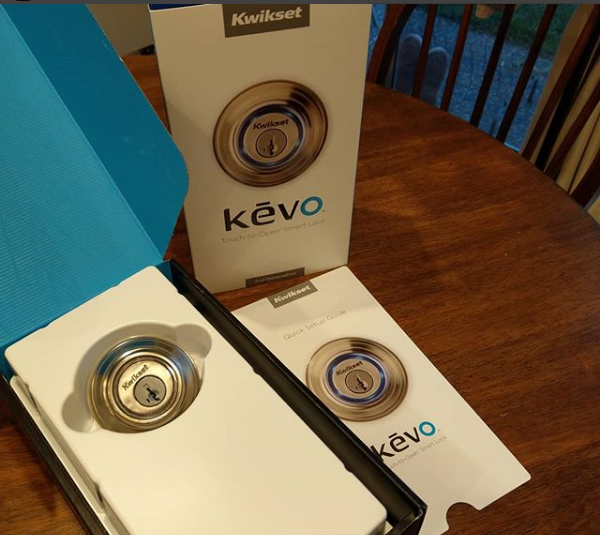 The Kwikset Kevo Bluetooth Deadbolt takes this concept to a new level. Just keep your smartphone (or an electronic key fob) on you, and simply touch the deadbolt with your finger to unlock your door. Kevo 2nd Gen provides the same trusted touch-to-open smart lock experience available in Kevo 1st Gen teamed with a refined user experience, sleeker design and added security features. This Bluetooth-enabled deadbolt can be locked or unlocked by touching the exterior side of the deadbolt, or with a key or fob (not included) from the outside, as well as the turnpiece from the inside. You can watch my installation on Kevo HERE. Kevo can also integrate with my Ring Door Bell and my Ring Floodlights. With the help Justin from JPD electrical Solution who installed my Two Ring Floodlights in front my house and at the back plus Ctec Wifi Smart Switch. 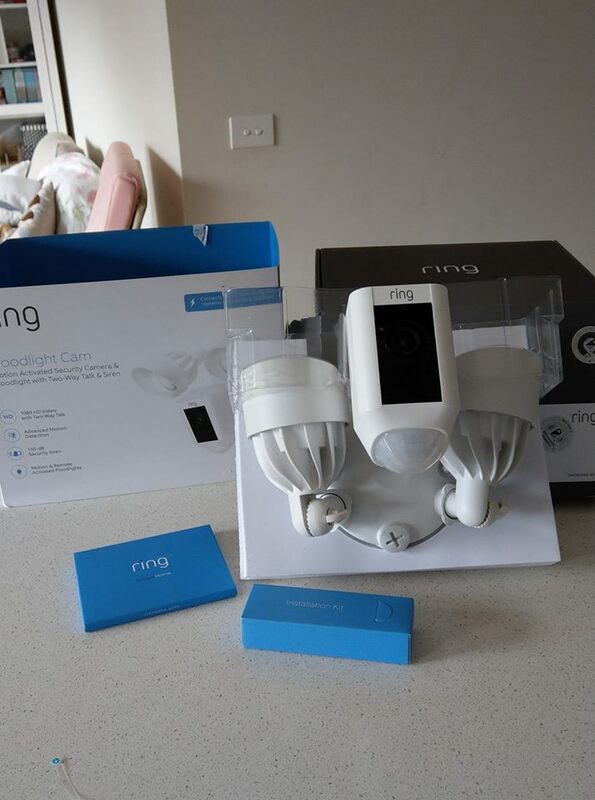 The Ring Floodlight Camera is motion activated and has built-in floodlights that will shine brightly if there’s an intruder on your property. It features 2 way audio functionality so you can talk to whoever’s outside . With object and person detection, Floodlight Cam has the most advanced motion sensors in home security. Its 270° field-of-view will let you detect motion around corners and monitor all your blind spots. The Ctech Wifi Smart Switch from Smartliving.com.au is cheapest and easiest way to make your home a smart home! If you only need a ‘simple’ home automation setup then these Wi-Fi enabled wall switches are for you.No additional smart home controller required since all intelligence is in the switch and app. Control and monitor your lights & appliances from anywhere in the word using your smart phone and by the way the can integrated with Amazon Alexa and Google home. 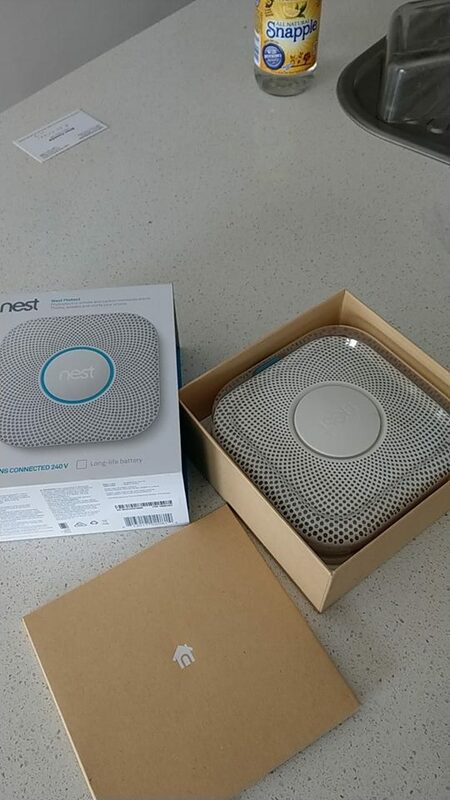 When you says protect your home from fire and carbon monoxide poisoning, the Nest Protect is your answer. 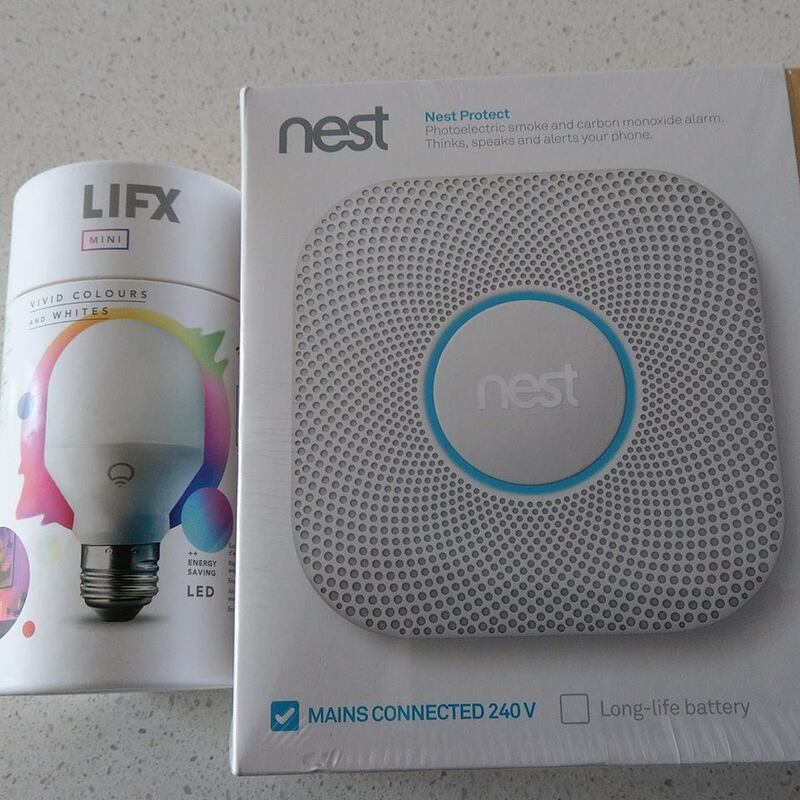 The only issues with the NEST protect in AUSTRALIA ,if you buy a Mains Connected 240 V Connector not a Australian standard electrical compliance and I recommended to get the long-battery operated one. Check my NEST protect. HERE. If you want tell Alexa or Google Assistance to change the colors of your lights, then LIFX smart lights is for you. Use voice with Google Assistant, Amazon Alexa, Microsoft Cortana or Apple HomeKit. 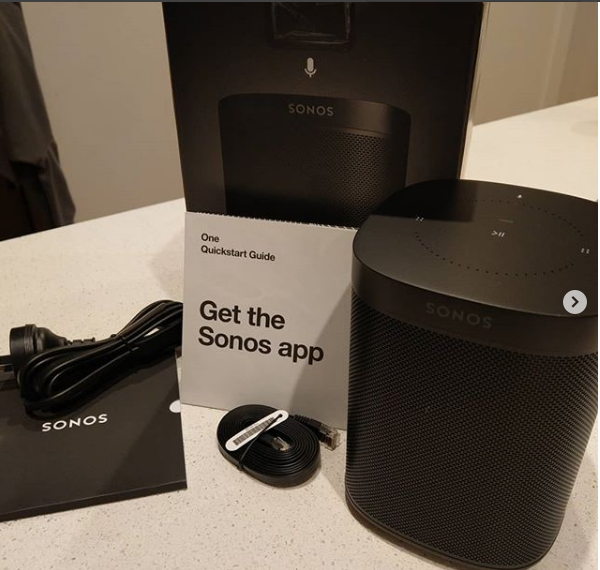 To complete your connected home, Tried the new arrival Build in Alexa Smart Speaker Sonos One from SONOS. A Smart Speaker for the Music Lovers. You can check my Sonos One . HERE.